A Long long time ago there was…. A Basset d’Artois. From wich our French Basset has descended. This hound lived in the north and the centre of France. The word ‘Basset’ comes from ‘bas = low’ and ‘set = set’. In the second half of the 19th century there were two breeders. Each developped his type of Basset d’Artois: Henri Count Couteulx de Canteleu and Mr Louis Lane. Around the year 1900, Mr Leon Verrier succeeded to unite the best of the two types. 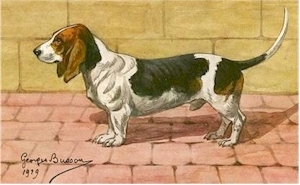 His Bassets had more nobility and their head resembled the head of the ‘Chien Normand’, a high rise huntinghound. The Bassets of Verrier were named: Basset Artésien (meaning: from the region Artois) Normand (from the region Normandy). Since 1938 Mr Verrier’s female Belette formed the basis for the formal standard of our Basset. 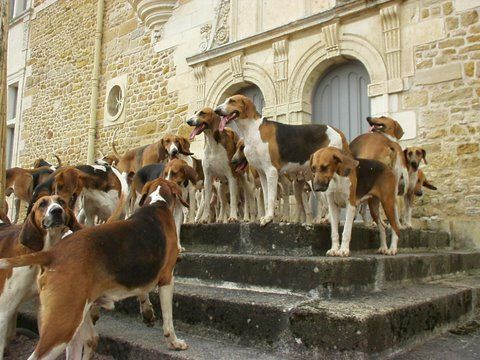 Centuries ago, and even now, French people have huntingpacks. 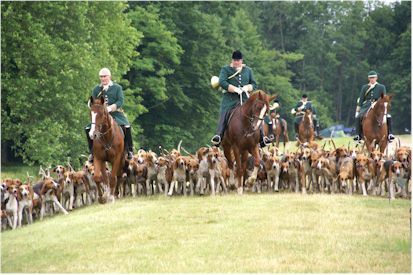 In the beginning mainly the noble men had their own pack, mostly high rise hounds such as the Poitevin or the Anglo-Francais. 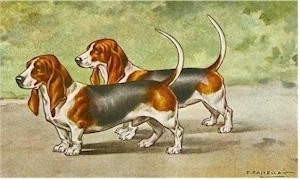 But the nobles also loved the Bassets. You can still see castles in France where the kennels have remained untouched. 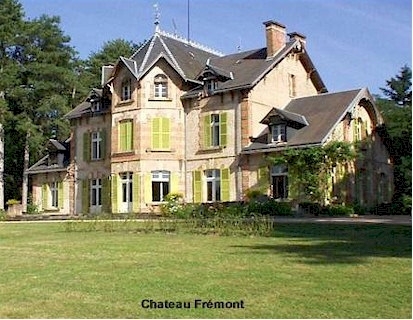 For example Chateau Frémont where breeder Count de Peufeuillou had his pack around 1910. 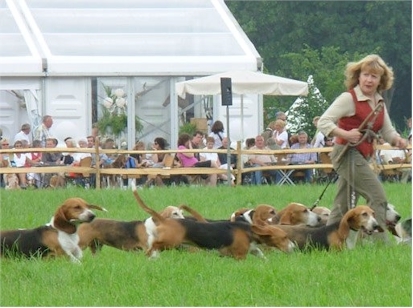 Today during the ‘fêtes de chasse’, held in the summer, you can see packs of Bassets Artésien Normand. They are shown to the audience before the hunting season starts.